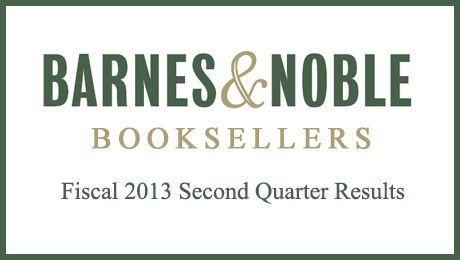 Barnes & Noble, Inc. today reported sales and earnings for its fiscal 2013 second quarter ended October 27, 2012. Second quarter consolidated revenues were $1.9 billion, a decrease of 0.4% as compared to the prior year. Second quarter consolidated earnings before interest, taxes, depreciation and amortization (EBITDA) increased 16% as compared to a year ago to $65 million. Consolidated second quarter net earnings attributable to Barnes & Noble were $2 million, as compared to a loss of $7 million in the prior year. Second quarter net losses attributable to Barnes & Noble were $0.04 per share, which includes the impact of the dividend on redeemable preferred shares, as compared to a loss of $0.17 per share a year ago. The Retail segment, which consists of the Barnes & Noble bookstores and BN.com businesses, had revenues of $996 million for the quarter, decreasing approximately 3% over the prior year due to flat comparable store sales, store closures and lower BN.com sales. During the quarter, the company began to cycle against the favorable impact of the Borders liquidation a year ago. Core comparable bookstore sales, which exclude sales of NOOK products, increased 1.8% for the quarter as compared to the prior year. Retail earnings before interest, taxes, depreciation and amortization (EBITDA) increased from $14 million to $28 million during the second quarter, a 101% increase, led by a higher mix of higher margin core products. In addition, the quarter also included the reversal of $4.7 million of accrued legal costs recorded in fiscal 2012, resulting from the final settlement of the litigation related to the company’s 2009 acquisition of Barnes & Noble College. The College segment, which consists of the Barnes & Noble College bookstores business, had revenues of $773 million, increasing 0.4% as compared to a year ago, led by new store growth. Comparable College store sales decreased 0.5% for the quarter, as compared to the prior year period. 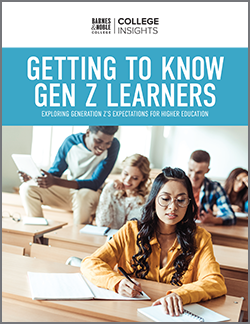 College comparable store sales reflect the retail selling price of a new or used textbook when rented, rather than solely the rental fee received and amortized over the rental period. 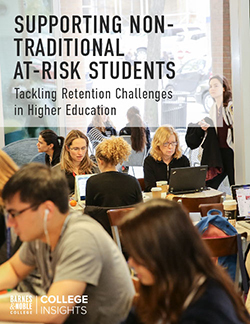 College EBITDA decreased $5 million during the quarter as compared to a year ago to $88 million, resulting from a higher revenue deferral on increased textbook rental volumes and continued investments in digital education. The NOOK segment, which consists of the company’s digital business (including Readers, digital content and accessories), had revenues of $160 million for the quarter, increasing 6% as compared to a year ago. Digital content sales increased 38% for the second quarter over the second quarter in the prior year. Digital content sales are defined to include digital books, digital newsstand, and the apps business. The two new NOOK devices, NOOK HD and NOOK HD+, began shipping after the close of the company’s fiscal second quarter, and sales from the launch of those products will be reflected in the current fiscal third quarter and subsequent quarters. NOOK EBITDA losses were essentially flat, increasing by 1% over the prior year to $51.4 million, as margin improvements were offset by higher investments primarily in product development and international expansion. NOOK unit sales doubled over the four-day Black Friday weekend, across all channels, based on information provided by our channel partners on a sell-through basis compared to the similar period last year. The growth was driven by increased promotional activity at channel partners, particularly Walmart and Target. Retail Core comparable sales, which exclude sales of NOOK products, slightly declined over the holiday weekend, in-line with company expectations. A conference call with Barnes & Noble, Inc.’s senior management will be webcast beginning at 10:00 A.M. ET on Thursday, November 29, 2012, and is accessible at barnesandnobleinc.com/webcasts. Barnes & Noble, Inc. will report holiday sales on or about January 3, 2013.